Once again, spring has smiled upon our beautiful city. People are gardening, birds are chirping, and the few bees we haven’t poisoned are lazily making their rounds like every day is Monday morning. It’s a special time in Denver, and with the changing of the season comes a very Colorado holiday: 4/20. Personally, it just doesn’t hold the same significance it once did. I remember going to see Ken Gorman speak at the capital and feeling like a rebel for skipping school with my friends to protest for something so near and dear to all of our hearts. That’s all well and good, but now I’m old and weed is legal. Mission accomplished. We did it. These days the most exciting part of 4/20 is the concert lineup. The Fly Hi Festival will be going on during the day at Civic Center Park. It’s a celebration of cannabis culture that includes tons of vendors and of course, live music. This year’s lineup features T.I., Jermaine Dupri, Eye Am Shane, $ubxrox MetaOx, Big Legion, and Hurox. There isn’t a set time schedule yet, but this is an all-day event. Admission is free, and 18+ is highly recommended. It’s a weed festival with tons of smoke everywhere, so don’t bring children. 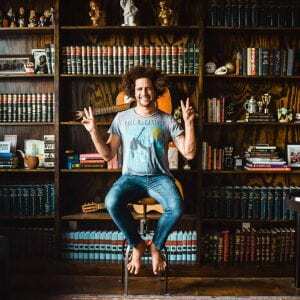 Andy Frasco and the U.N. are bringing their upbeat, bluesy rock to the Bluebird Theater. If you haven’t seen them before, you should check them out. Their shows are always a party. Andy Frasco has an enormous stage presence, and they’re fresh off the release of their 7th album, Change of Pace. They’ll be joined by Denver band A-Mac and The Height. Front man Alex Mackenzie-Low is no stranger to the Colorado music scene. He’s the creator of Spread the Word Music Festival and has worked with numerous bands as an audio engineer. A-Mac joins forces with four other highly talented local musicians to create a smooth blend of reggae, funk, and alternative rock. Get your tickets before they sell out. Method Man and Redman shows have become a 4/20 tradition at Cervantes. The duo brings their legendary rhymes and East Coast style to Denver once again to celebrate. Also on the lineup are CunninLynguists, Devin the Dude, and special guests that turned out to be Denver’s own, Proximity. These dudes have sold out Cervantes on 4/20 for almost a decade straight. This year is no different, so if you want tickets start looking now. Denver is probably going to be the top 4/20 destination in the world this year. We’re kind of a big deal, so you can expect huge crowds everywhere. But if you can handle the mob, there are tons of awesome shows happening all next week. You can also catch Snoop Dog, Ice Cube, Whitey Morgan, Thriftworks, 311, Shad Moss (aka Bow Wow, formally Lil’ Bow Wow), Stick Figure, Pepper, Juicy J, Trev Rich… the list goes on. Get out there and take advantage of the freedom that we fought (well, mostly lounged in the park) so hard for.